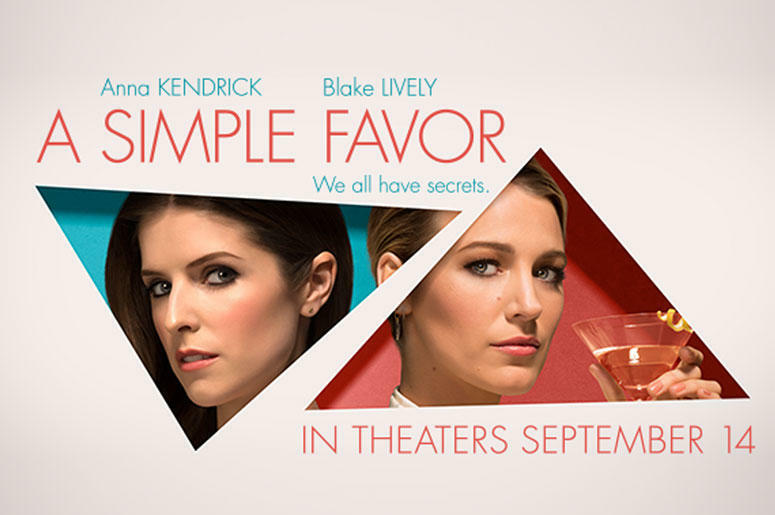 Paul Feig’s A Simple Favor is a deliciously twisty comedy-thriller in the Hitchcockian vein with two delectable performances by Anna Kendrick and Blake Lively. Square, single mom Stephanie (Kendrick, Into The Woods) tries just a little bit too hard to please. Her dull life turns upside down when she meets the dynamic Emily (Lively, Gossip Girl) through their little boys. Stephanie is instantly bewitched by the fashionable, flip sophisticate. They drink dry martinis London style and reveal dark secrets. Then one day Emily asks for just a simple favor, for Stephanie to pick up Emily's son from school. 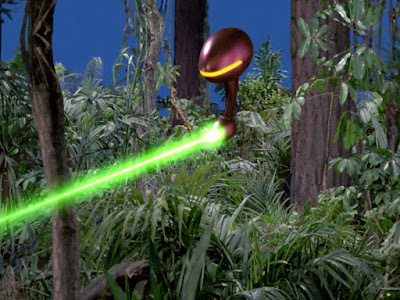 After that call, Emily vanishes. Her husband Sean (Henry Golding, Crazy Rich Asians) hasn’t heard from her at all, and her work doesn’t seem to notice she’s gone. Stephanie leaves it to herself to solve the mystery. The once buttoned up neurotic blossoms due to the excitement as she chases old secrets to their roots. Feig plays homage to the French '60s neo-noir thrillers of Claude Chabrol and Francois Truffaut, who, in turn, had been kissing up to their portly Hollywood mentor, Hitch. Feig sets the tone with a ravishing soundtrack containing post-modern French songs by Serge Gainsbourg, Brigitte Bardot, and Françoise Hardy and an enveloping score by Theodore Shapiro. The costumes by Renee Ehrlich Kalfus mock trends of the 1960s with couture female tuxedos and hostess dresses in bright suburban colors. The script by Jessica Sharzer, based on Darcey Bell's 2017 novel, follows the tropes of the scheming femme fatales and the good girls who climb into the mud after them. The characters are wickedly smart which makes both Stephanie and Emily worthy adversaries. Some of the strings do unravel, in particular the character of Emily's fashion empresario boss played by Rupert Friend could have been woven more into the mystery to add menace. Even without charting new territory, Sharzer keeps the audience on their toes, but still allows them to think they're two steps ahead of the script only to be dead wrong often. Feig's cast has been obviously schooled on the conventions of the 1940's noir characters they tease, so that they're able to follow the established form, but also make the characters their own. Kendrick, who began her career on the stage as a child, is a winning protagonist. Her insecurities and constant babbling illustrate a woman desperate to belong. The script clues the audience in immediately when Stephanie reveals to her mommy vlogger audience that her best friend that she’s known for ONLY A FEW WEEKS has gone missing. Kendrick may be a pigeon, but audiences empathize with her loneliness and isolation. Lively plays Emily as a force of nature, a commanding presence who manipulates for the same reason other people breath. Like in Crazy Rich Asians, Golding projects an irresistible sexiness, but he unselfishly allows the dominant women surrounding him to take full focus in the film. Feig fills his cast with great supporters like Andrew Rannells, Kelly McCormack, and Aparna Nancherla as the gossipy school parents, and Olivia Sandoval and Bashir Salahuddin as two over-jovial but heavily suspicious detectives, she for the insurance company, he for the police. Jean Smart as a boozy piece of the puzzle is a hilarious gem as always. Like a rich, French meal, A Simple Favor savors its flavors, creating an appetizing treat that's a tastier whole than its parts may suggest on their own. Already adept at skewering the conventions of the spy thriller (Spy), the buddy cop comedy (The Heat), and the girl's-day-out comedies (Bridesmaids), director Paul Feig shows his flair for subtlety and intrigue without the gross-out elements upon which his earlier comedies relied.